Collins Booksellers - Denied by Jeffrey B. Nordella M.D., 9780998389202. Buy this book online. 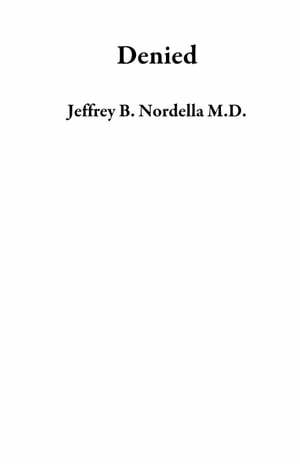 by Jeffrey B. Nordella M.D. Publisher: Jeffrey B. Nordella M.D. Jeffrey Nordella grew up in near poverty, yet he succeeded in earning a medical degree from the UCLA School of Medicine. He married his soulmate, had three beautiful children, and spent each day at his family and urgent care clinic doing what doctors are supposed to do and what he loved: caring for people. This nonfiction book chronicles one man’s journey to overcome insurmountable odds ending in a monumental, multimillion dollar jury verdict.